The R14 is built on the same chassis as the R16 featuring compact dimensions and flexible performance. 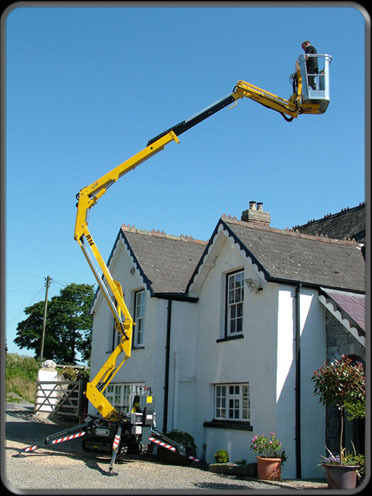 The low gross weight makes this model easy to transport, whilst a flexible boom design enable working heights of up to 14 metres. The extremely compact dimensions of the R14 allow it to enter the most confined of spaces and turn the tightest of corners, whilst the closed width of just 780mm ensures it can drive through a standard single doorway. Once in position, the advantages of compact dimensions continue, with a stabiliser base area of just 2.7 x 2.7 metres, the R14 can work in areas where ground space is at a premium. Power comes via petrol or diesel engine, plus an AC electric motor for quiet, pollution free operation indoors. Standard equipment also includes full machinery protection and AC power outlet in the platform.